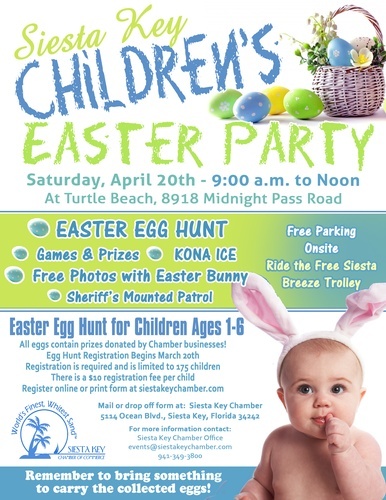 Come celebrate Easter with the Siesta Key Easter Egg Hunt on Saturday, April 20, 2019! The event is open to children age 1-6 ($10 per child). Located at Turtle Beach in the playground/parking lot area. 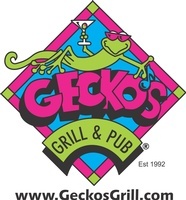 Check-in begins at 9:00 a.m. There will be goody bags, fire truck & ambulance tours, the mounted patrol, Kona Ice, and photos with the Easter Bunny! Free parking is available on site. The free Siesta Breeze Trolley service will begin at 8:30 on that morning and will be making rounds approximately every thirty minutes from SK Village to Turtle Beach. Approximate time slots for the Egg Hunt are designated by age groups: 10:00 a.m. (2 years of age and younger); 10:30 a.m. (3-4 years of age); and 11:00 a.m. (5-6 years of age).